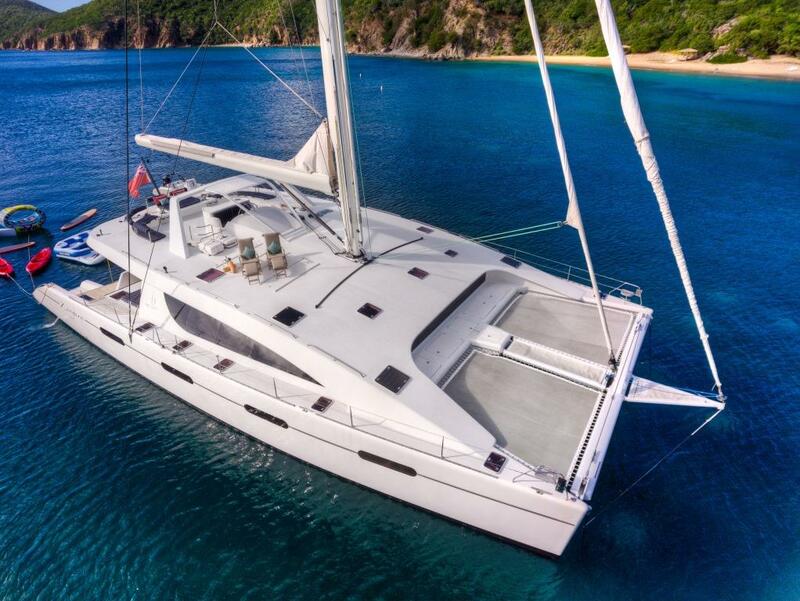 Luxury sailing catamaran Zingara is a 76ft Silhouette build, available for private crewed charter in the Caribbean. 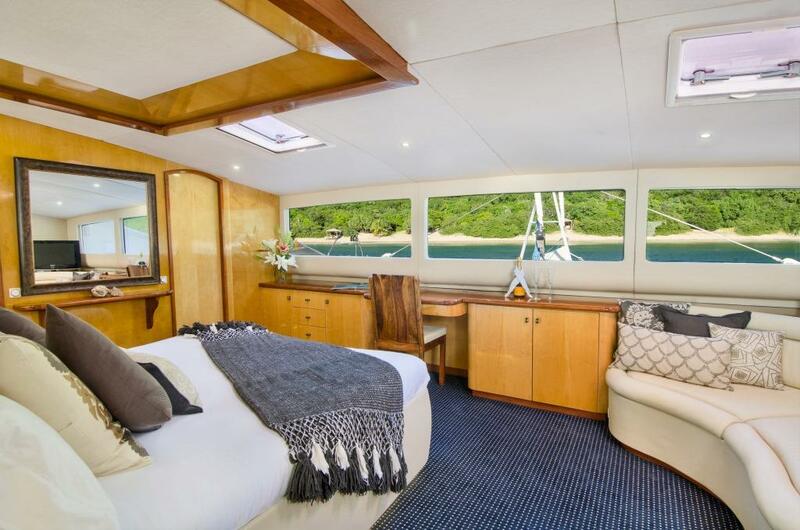 Zingara can accommodate up to ten guests in five private staterooms and has a crew of four to cater to every whim and assure guest safety. 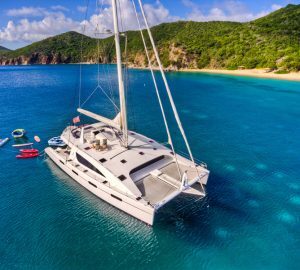 She is fully decked out with every conceivable water toy, including a Hobie Cat and is one of the most luxurious and exclusive catamarans available for charter in the Caribbean. 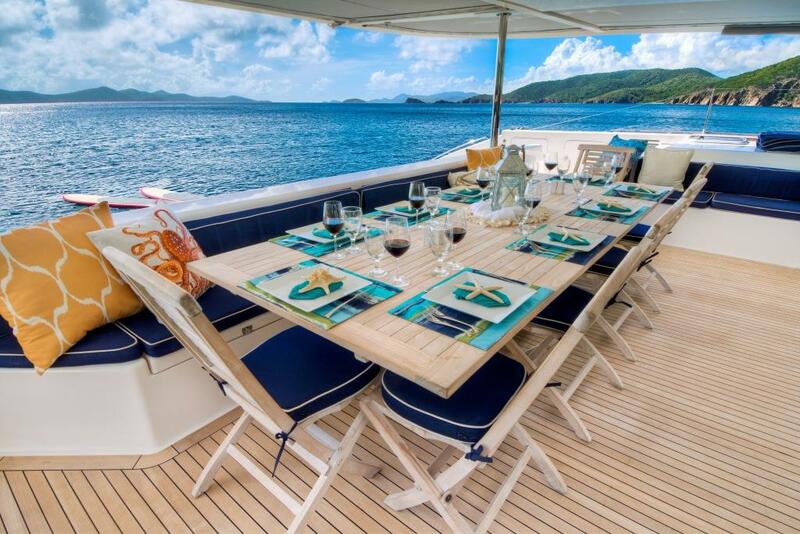 Zingara is also one of the largest and most spacious catamarans available for charter in the Caribbean. 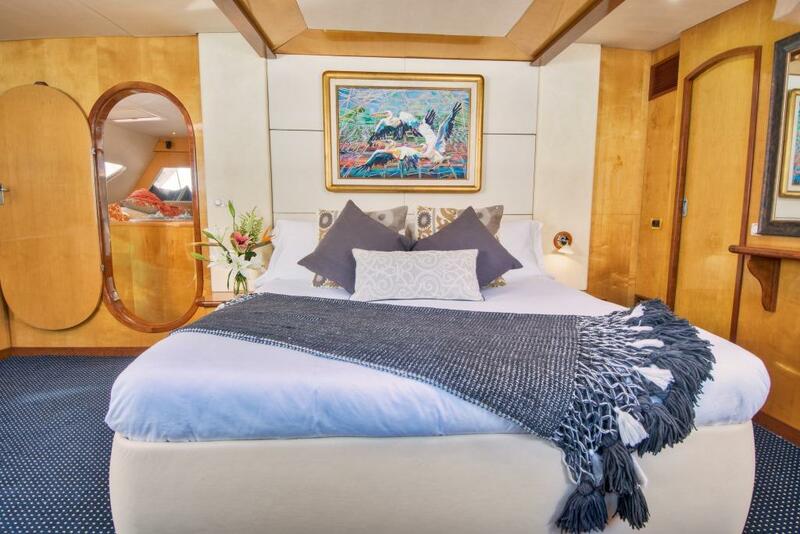 Her huge master stateroom offers 180 degree views over the bow of the yacht and is beyond doubt one of the most beautiful master staterooms available on a charter vessel, especially for this size of yacht. 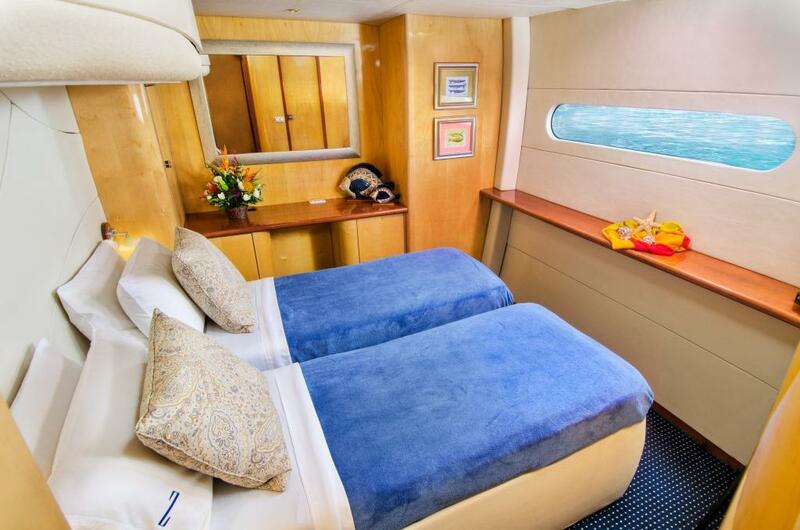 Along with the sweeping views the master staterooms offers a walk in closet and a spacious bathroom with Spa Pool tub. 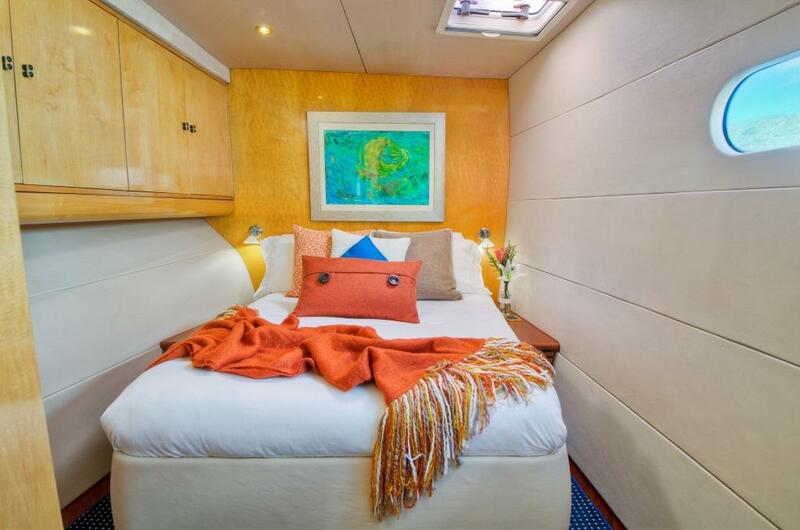 The remaining four cabins are smaller but comfortable and offer convertible beds to either doubles or twins making her the perfect yacht for families, couples and singles. Her spacious salon has plenty of room to hang out and watch a movie, drink a cocktail and also offers interior dining for ten people. 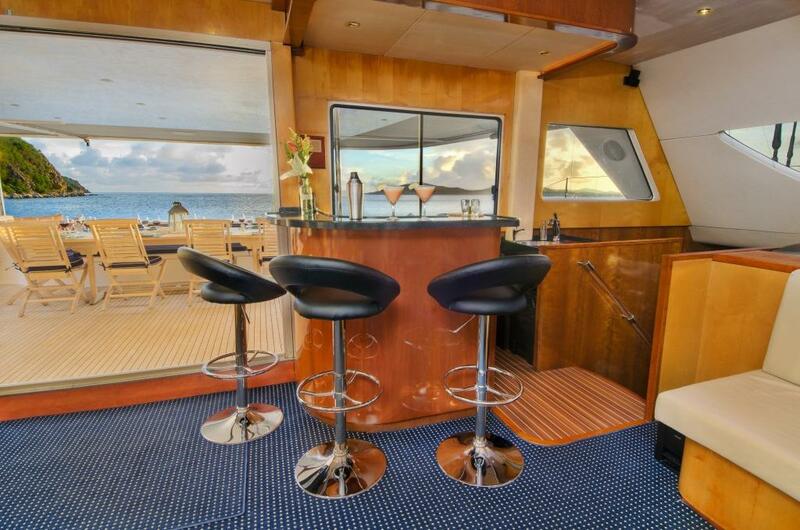 The galley is down so the whole salon is for guest’s private use. 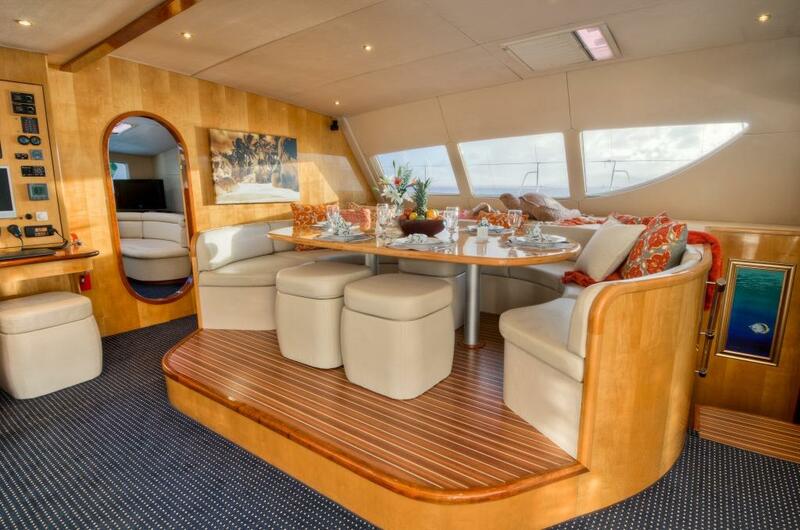 The huge cockpit off the salon offers alfresco dining comfortable for 10 people with plenty of space for dancing or hanging out during the charter. 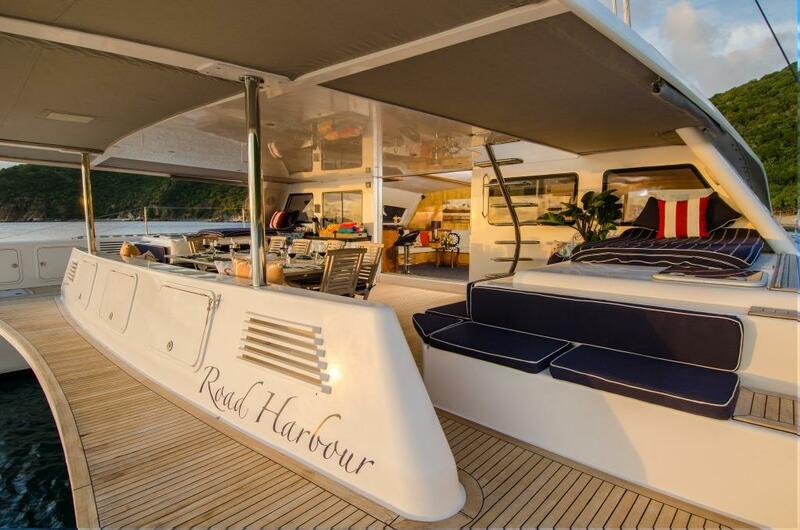 The foredeck is expansive and impressive and the nets a great place to chill out while sailing with the water swishing below you. 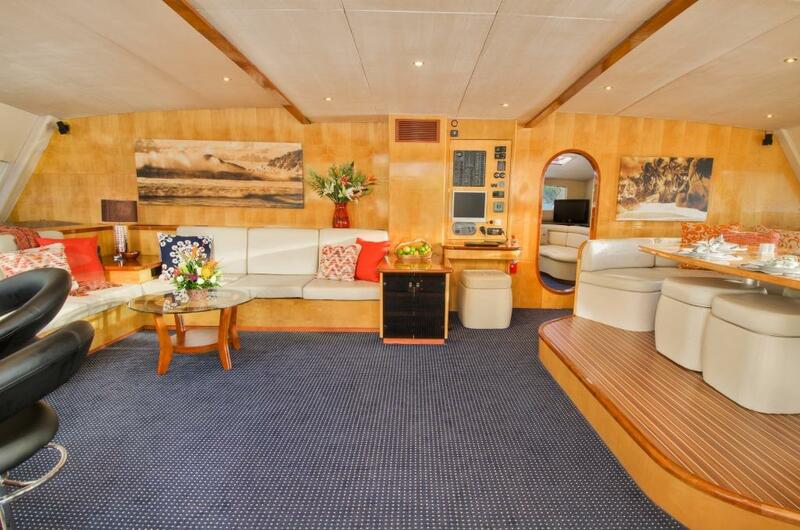 Her massive fly-bridge is a popular guest area and features plenty of space to relax in comfort while under sail or on anchor. 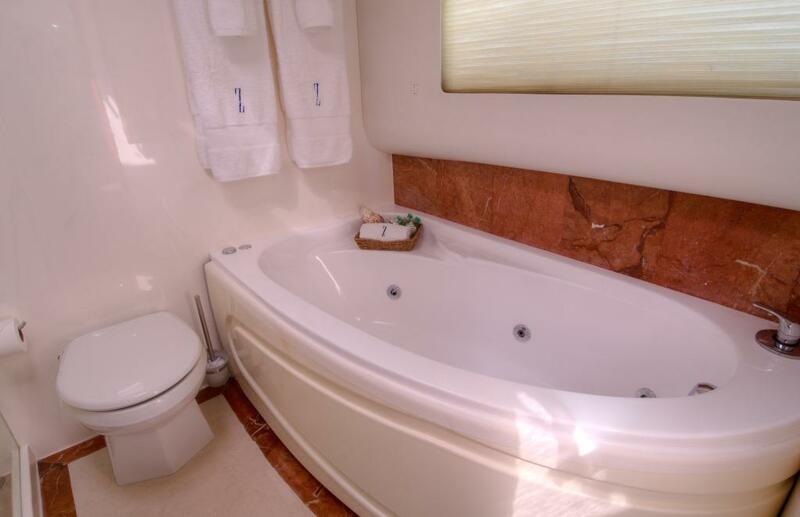 It also features a small Spa Pool should you fancy some time out to relax. 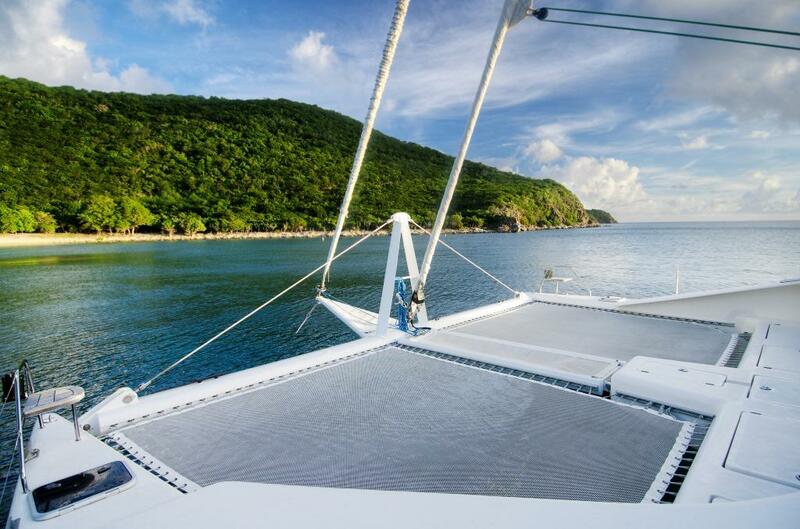 This awesome catamaran sails magnificently and is a thrilling under full sail. 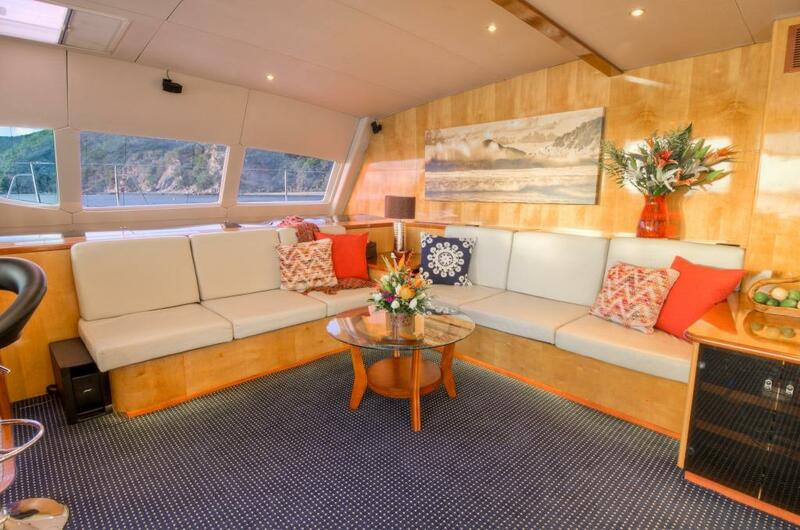 For guests that love to sail but love the interior and exterior space of a power vessel along with all of the creature comforts Zingara is an excellent choice. 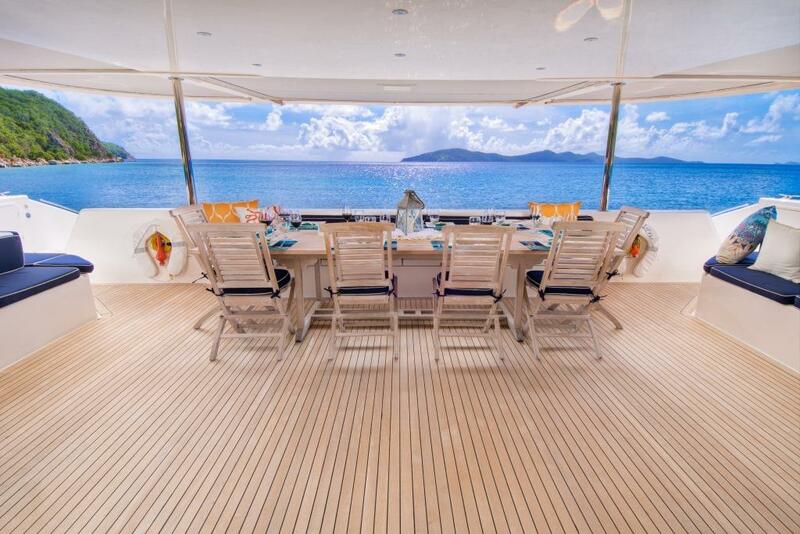 She is a stunning charter vessel with an excellent crew who are rotated every four months to stay fresh. 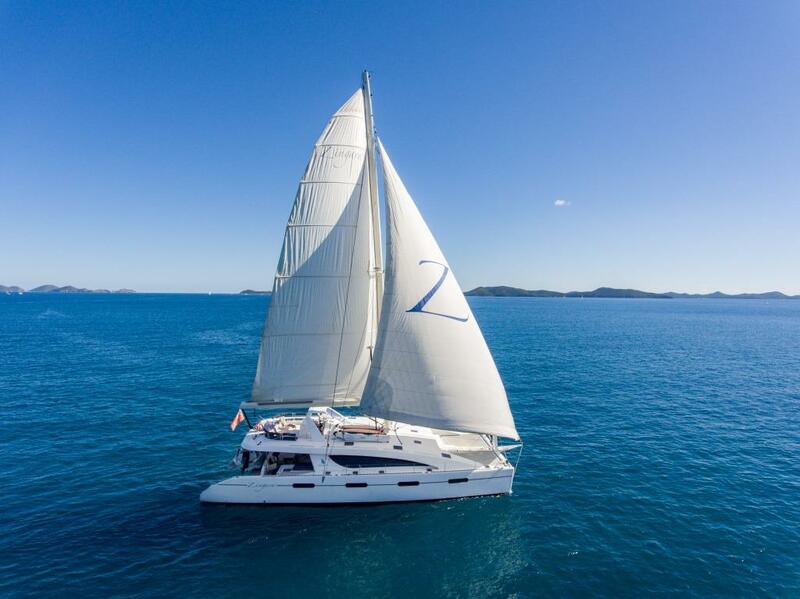 Zingara offers the ultimate sailing vacation with fantastic performance, and excellent crew and a luxurious surrounds to keep even the most discerning guest completely satisfied. 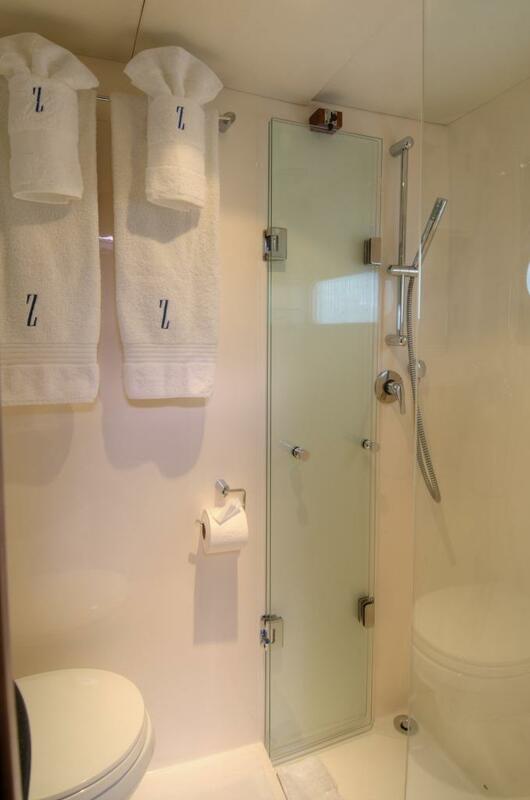 Zingara has five staterooms including a huge master stateroom with walk in wardrobe and ensuite bathroom with Spa Pool tub. 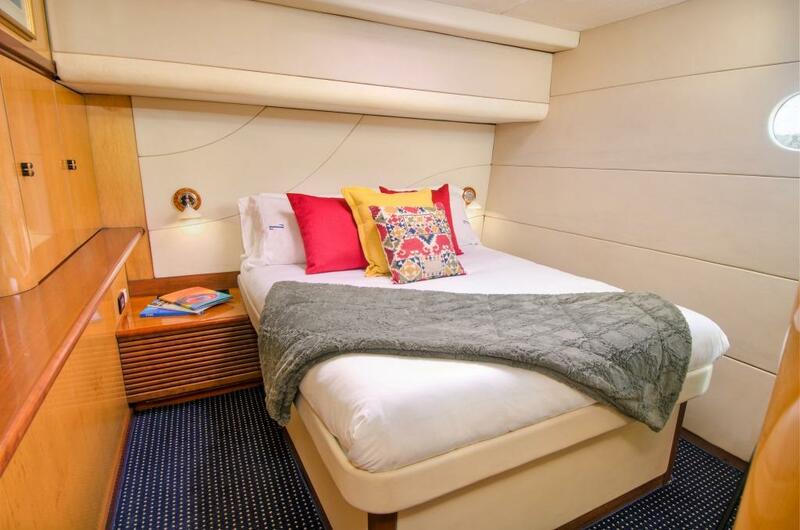 Her four remaining staterooms are smaller but still comfortable with ensuite bathrooms and plenty of storage. Some of the beds can be converted to twins. There is also a day head for visitors on board for the day. 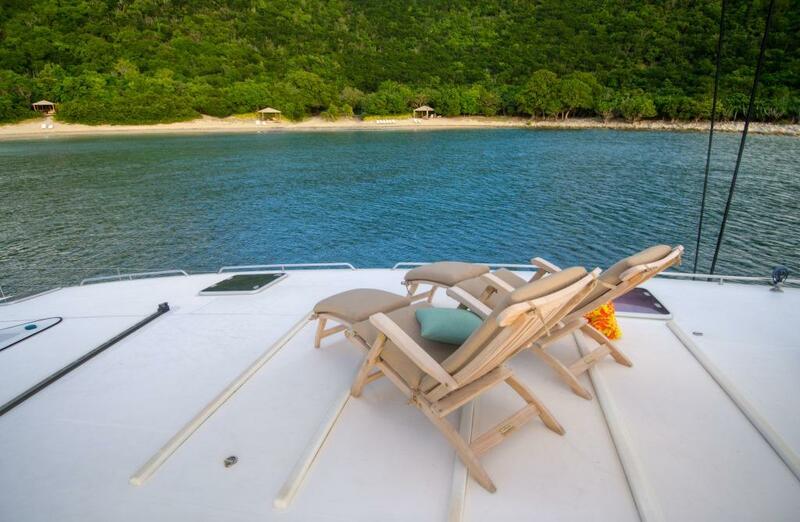 Dear Josh, Hope you are well, though I guess (assuming you are currently in the UK) that you are not having anywhere near as good as time as we are, on board Zingara and hitting 29 degrees every day in the BVI!! Just wanted to let you know that I have today processed a payment for the gratuity for our trip. 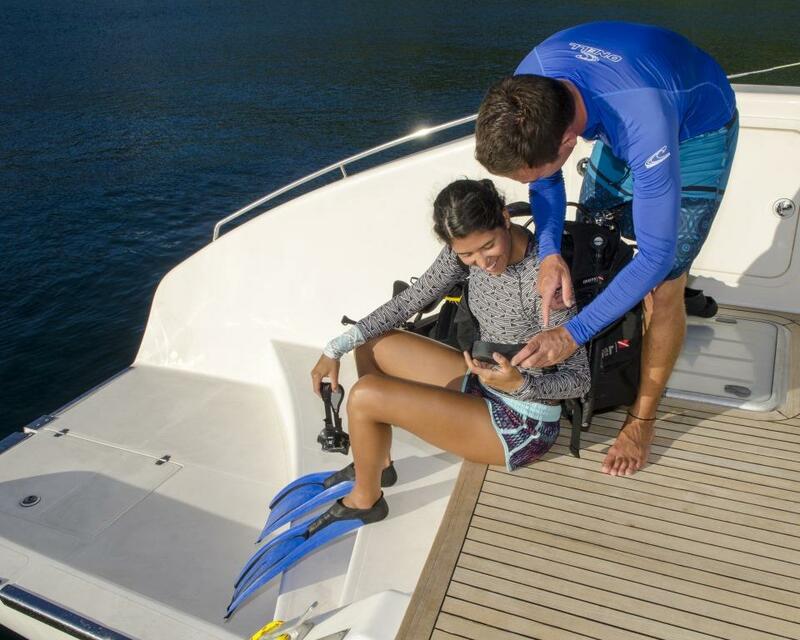 Chad, Wendy, Cody and Sam have made the experience on Zingara so far just brilliant - they have worked very hard and their attitude is faultless - such that we think they really deserve the gratuity. 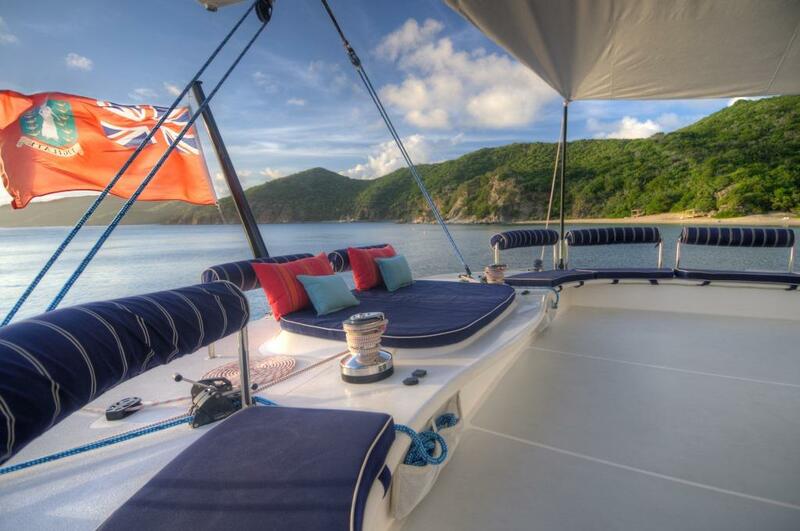 SP, Chartered ZINGARA in BVI, April.